A question? Check our FAQ page. Your answer is most probably on it. I've been invited out for a meal. What can I do? Accept the invitation... but restrict your carbohydrate intake as much as possible to avoid disrupting the ketosis process (no cakes, sodas, starches or bread). Eat lean proteins (meat, fish, eggs) and vegetables chosen from your list #1 or 2. Avoid wine and alcohol. I feel tired and suffer from cramps. What can I do? Watch out! You might be suffering from a potassium deficit. Use Laktolight™ to make up your products, as it is supplemented in potassium. I am following the program indicated by my doctor to the letter but am not loosing weight. What should I do? If you are scrupulously following your doctor's recommendations, the program should work and you should be loosing weight, particularly if you are in Phase 1 or Phase 2. However, weight loss never follows a linear pattern so weigh yourself once a week rather than every day. If after one week you still see no change, consult your doctor. Should I persevere with my programme if I've reached my objective at the end of phase 2? Yes, you should persevere because you need to sustain this weight loss in the long term. Phase 3 will enable you to gradually reintroduce carbohydrates and progress towards a balanced diet with phase 4. You should also start or continue and intensify your exercising programme. What can I do if I feel very hungry? During phases 1 and 2, make sure you don't eat any high-carbohydrate content foods as this compromises the ketosis process. If you a really hungry, take a additional product, preferably a sachet or a beverage. Are there foods to avoid when Eurodieting? You should scrupulously adhere to your doctor's recommendations and follow the guidelines detailed in the documents accompanying each phase of the method. During phases 1 and 2, you should definitely avoid any foods containing carbohydrates and restrict yourself to 1 bar a day so as to avoid compromising ketogenic mechanisms. Do not, however, reduce the number of Eurodiet products recommended. How does Eurodiet differ from other methods? Other methods are most often based on the idea that calorie intakes should be restricted, which forces the body to draw its energy from all its tissues, muscle mass included. People loose weight, but also muscle tissue and water. 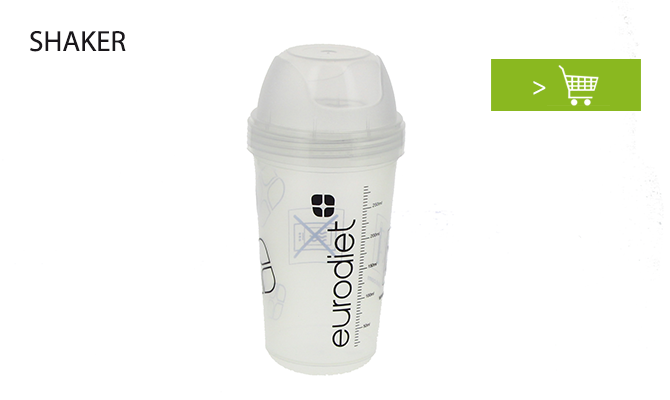 With a high input in quality protein and limited carbohydrate and fat intakes, the Eurodiet method allows you to preserve your muscle mass. Results mainly depend on the starting phase your doctor and yourself will have chosen and its duration. But above all, its motivation that counts! Are high-protein diets dangerous for health? No, absolutely not, providing you are followed by a doctor trained to use this method who will check that you present no contraindication to this diet. Moreover, the protein contained in our products have a high chemical index and contain ALL the essential amino acids. Most of our products are also supplemented in vitamins and mineral elements. Note that this type of program is unduly called "high-protein diet", given that its protein intakes are in agreement with your needs.